Today is finally here; our long awaited camping trip is here at last! As I was pulling food out of the fridge to take with us, I noticed some leftover smoked salmon that I had forgotten about. An idea instantly popped in my head; Smoked Salmon Pinwheels. The perfect snack for our camping trip! 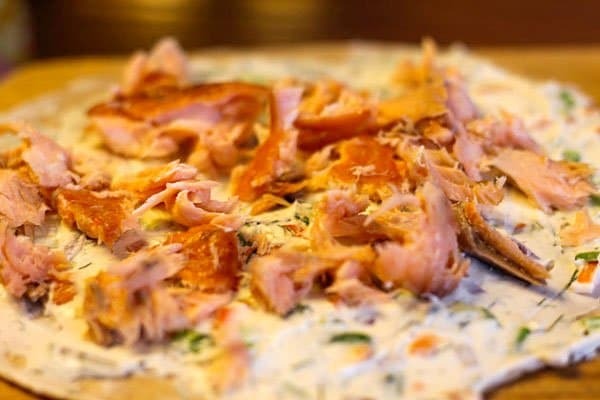 Although I’d never made smoked salmon pinwheels before, the possible ingredients started to dance around in my head: fresh dill, ranch dressing seasoning, scallions, and hot peppers. This was going to be good. Not surprisingly, the result was incredible! I packed the pinwheels in the cooler and looked forward to surprising Scott with them upon reaching our destination. Unfortunately, the surprise was on me. An hour into the drive, Scott’s truck started having brake issues. Sadly, we had to be towed all the way back home. But Luckily, he thinks he has it figured out. Hopefully this time tomorrow, we’ll be kicking back in the Laguna Mountains, enjoying Smoked Salmon Pinwheels! Pinwheels are awesome for a last minuter snack, and the perfect dish to take to a gathering or a potluck. But what do you do if you don’t have smoked salmon in the fridge? No worries, the possibilities are endless! How about using shrimp, or even chicken. Or you can keep them vegetarian and skip the meat altogether! 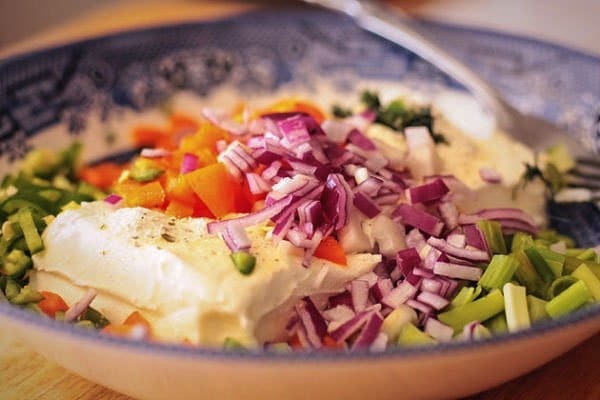 Alternatives to cream cheese include goat cheese, shredded cheddar, or even laughing cow triangles. 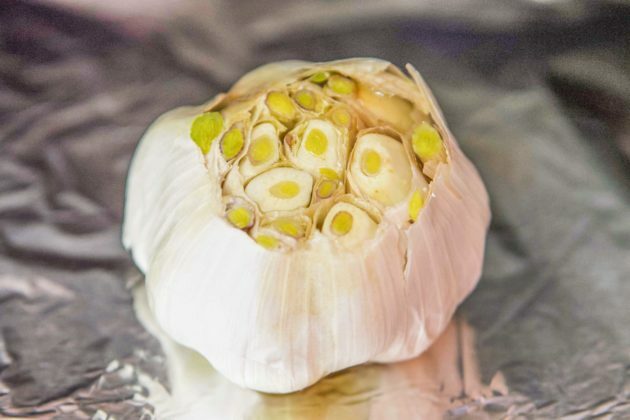 For the veggies, you have so many options! How about some black olives, diced cucumbers, chopped tomatoes, and chives? A good way to get ideas is to pick a theme, for example, Italian. Then simply use Italian ingredients such as basil, black olives, artichoke hearts, and sun-dried tomatoes. 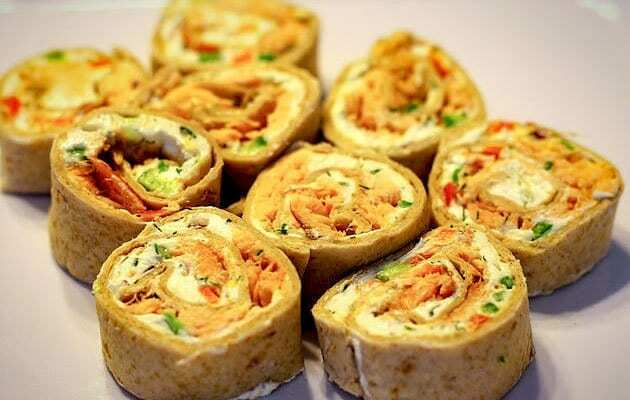 If you love this Smoked Salmon Pinwheels recipe, please give it a 5-star rating! 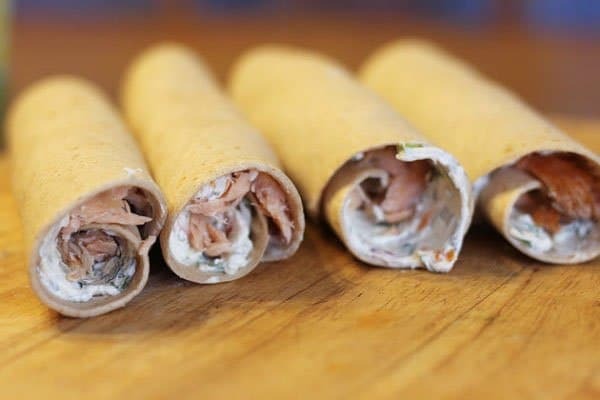 Healthy, low-carb smoked salmon pinwheels. 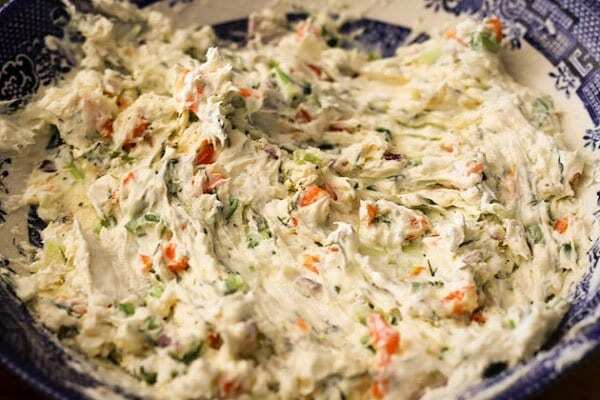 Divide the cream cheese mixture into four portions. Spread 1/4 of the mixture on each of the four tortillas. 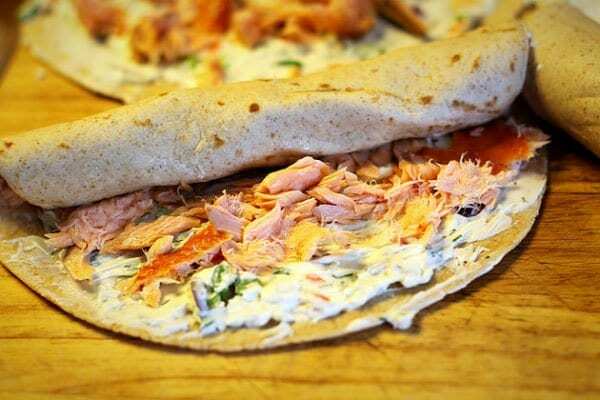 Crumble the smoked salmon and divide between the four tortillas. Roll each tortilla tightly, but not tight enough to squeeze the ingredients out of the tortilla. Wrap each roll in saran wrap and chill for a few hours to allow them to set. Slice each roll into ten slices, and serve!